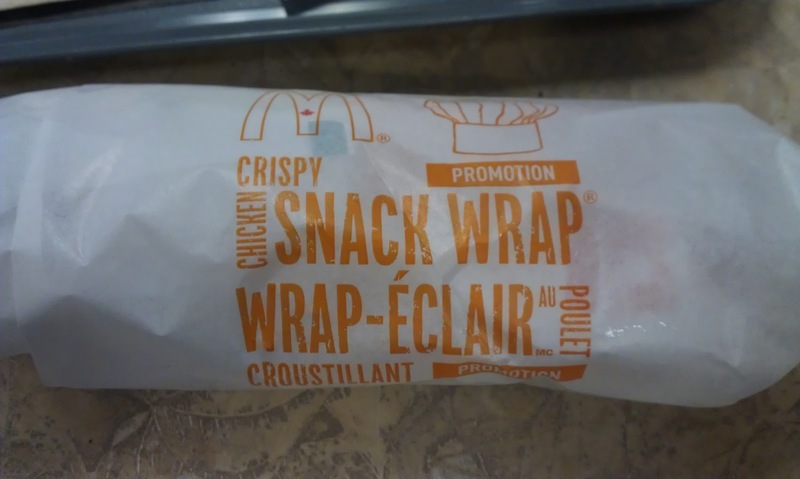 The snack wrap, sadly no unique packaging. 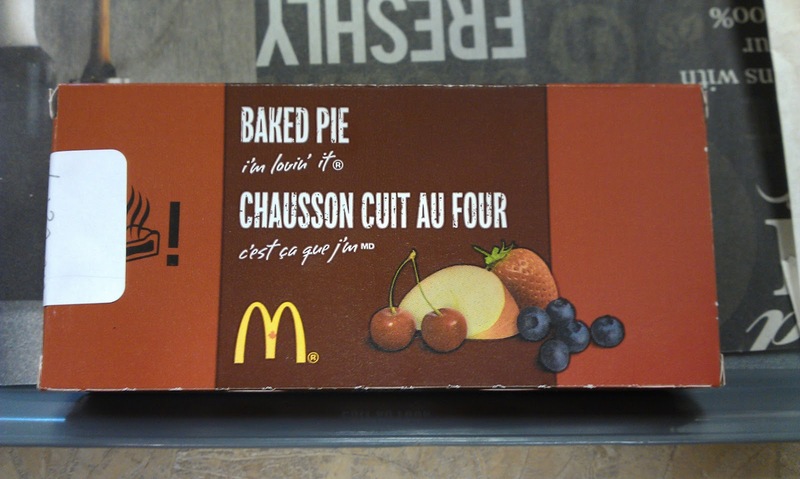 Price - Wrap $1.89CAD (~$1.85USD), Pie $0.69CAD, Coffee Cake w/ Large coffee $1.76CAD. All prices do not include 13% VAT. Shortly after sampling the items from my last post. 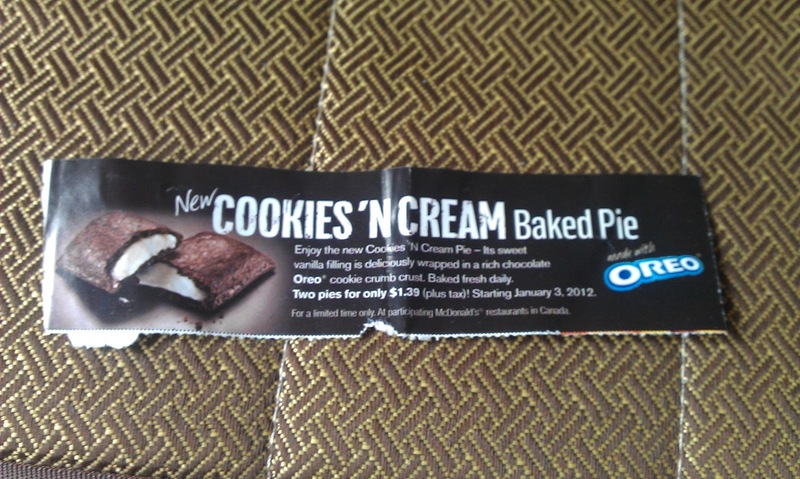 A coupon book arrived in the mail for Essex County McDonald's only. If they were nation-wide, I would have uploaded them to the Coupons page, but I didn't think they would be of any use, and besides, most were just free fries with burger purchase, mostly useless really. Though in the booklet, they had an advertisement for 2 new promotional items that would start on 3 January, luckily it was the day before I was to start making my way back to Korea, so I was in luck. 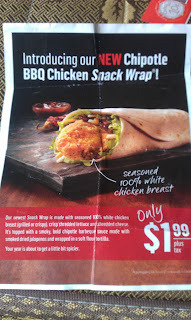 The first item had a full page insert, the Chipotle BBQ Chicken Snack Wrap for $1.99. 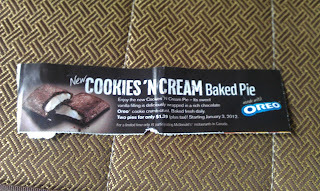 The Cookies and Cream pie had a much smaller ad at the top of some coupons, 2 for $1.39. I will attach photos of the ads at the bottom of the review. 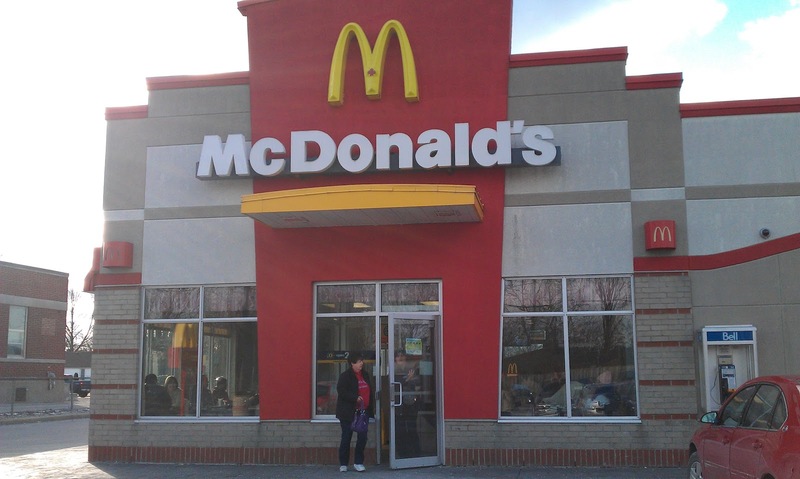 I made my way to the closest McDonald's on 3 Jan, which was the Amherstburg branch. 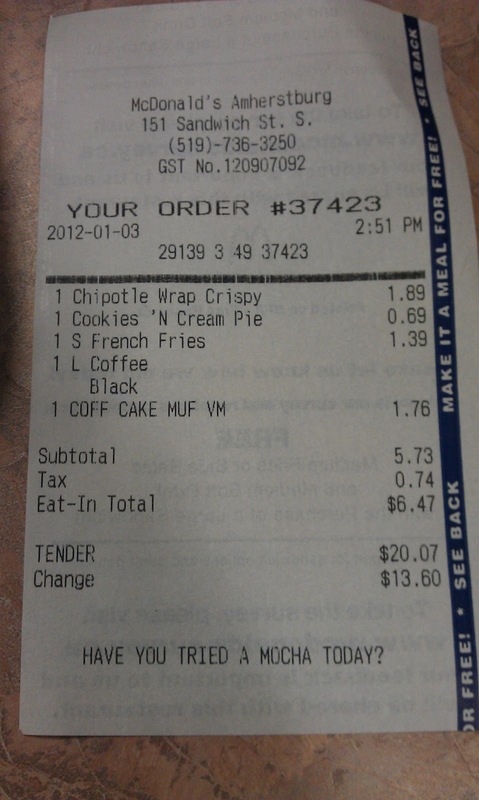 It seemed that the coupons were brining in customers, as both people in front of me used them to order their food. Sadly, the new promotional items did not have any coupons. The Chipotle snack wrap had a big ad on top of the cash register, but it only said '2 for 3.99'. I didn't want 2, as my mothers Armenian cooking is always better than anything I can get at McDonald's, and I asked the probably 65 year old woman taking my order, if I could only have 1, she said "of course, its $1.99 for one, or $3.99 for two", but if you look at my receipt, you'll notice that it was actually only $1.89...so anyone ordering snack wraps in the future, be sure to order them one at a time, to save a little money. 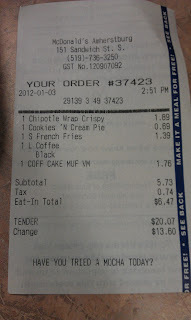 When I ordered the pie, I was also able to order one for $0.69, instead of the advertised 2 for $1.39. Good to know. I felt like a coffee, and thought about saving the nearly free muffin (see my old post) for breakfast on the way to the airport in the morning, and looking at the muffin rack there was a hand written sign for 'Coffee Cake' next to the regular assortment. So naturally, I picked that over the standard ones. 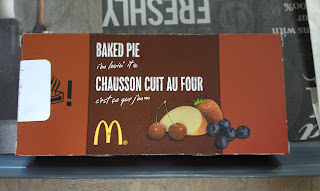 First up was the Pie. I was sad that they didn't have a special box for it promoting the new flavour. 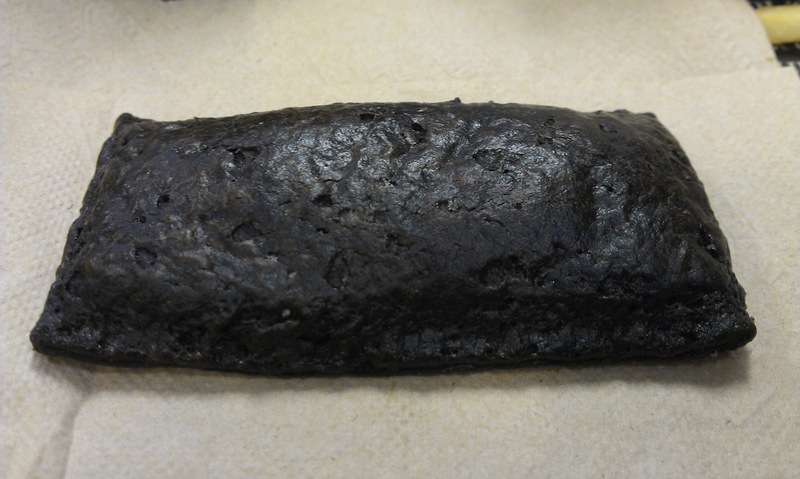 It was hot (as expected), and had a deep black colour to it. It smelt exactly like a warm Oreo, and though they didn't call it an 'Oreo Pie' they always had 'Made with Oreo' on all the signage for it. 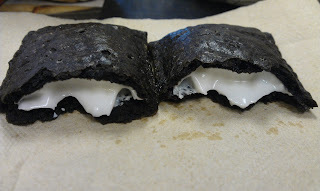 The filling had the exact colour of an Oreo filling, but it was quite runny. My mother thought it was overly sweet, but loving anything sweet I never felt that way. But, surprisingly, I didn't really enjoy it. The crust, had a slight Oreo flavour to it, but it was pretty bland, and the filling, though decent, tasted more like whipped cream over an Oreo filling. Second was the Snack Wrap. Again, they didn't have any promotional packaging for this new flavour, and when I took it out of the paper, my mother commented that McDonald's should offer their wraps with whole wheat tortilla, I agreed, it would be a nice change, I would choose it every time. 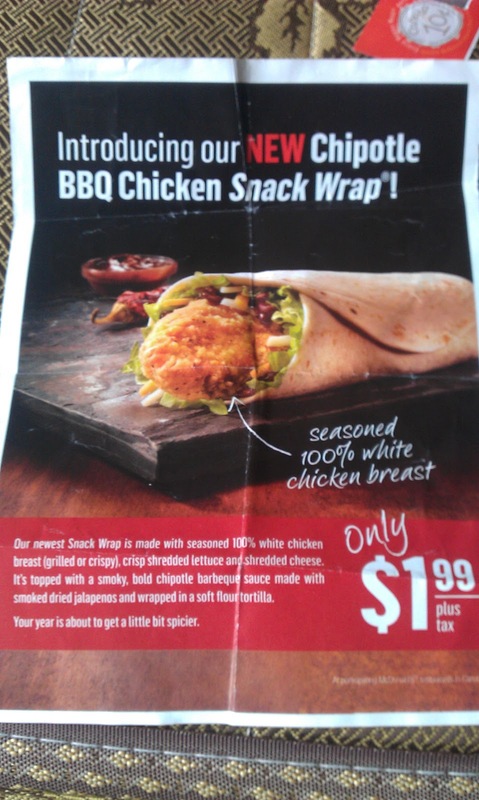 All the other wraps McD's offers you have the option to get grilled or crispy chicken, but for this one, I was not offered grilled chicken, though the promotional material says it is. 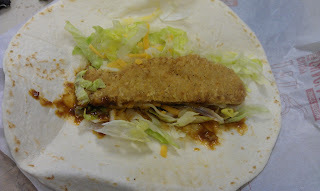 There was a perfect amount of the chipotle sauce, not too much and not too little. It also surprisingly had a nice zing to it, not very spicy at all, but more than you'd expect at a North American McDonald's (reading over the promotional material, it is being advertised with 'a bold chipotle barbeque sauce made with smoked dried jalapeños'. I enjoyed it, but my mother found the hickory taste in the chipotle sauce overpowering. 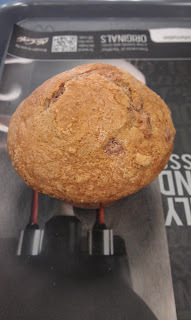 Last up was the coffee cake. I ripped off a small piece of the top, and it was dry, tasteless and pretty much uneatable. A shocking contrast to the other muffin's I have tried from McDonald's recently. But it didn't go to waste, I took it home, and we gave it to the dog. She rather enjoyed it.